Who doesn't want a book that's described as "a dangerous game of magical and political machinations, where lives can be destroyed—or saved—with only a touch"? That sound freaking amazing! And two leading ladies teaming up to accomplish their goals? What do you guys think? Is this on your TBR? Is this the first time you're hearing of it? Born the youngest save one in a family of ten, I grew up notoriously quiet but secretly wild, playacting my favorite stories and writing some of my own in the woods behind my family's farmhouse. Originally from a small (very small) town in Ohio, I moved to the larger (much larger) Orlando suburbs kicking and screaming at the age of fifteen. It turned out all right in the end and I'm still here, now with an adorable husband, two useless cats, and an unhealthy reliance on air conditioning. While I'm not old enough to be President, I am too old to sit on the floor without cracking joints when I stand. As a Midwestern Southerner, I've attained Level 9 Politeness and prefer my iced tea sweet. Still notoriously quiet, though. Not nearly so wild. It's sounds really great, I'm so excited! Wouldn't it be neat if the finished copy was embossed and shimmery? SHIMMER and Burn? :D August is so far away! Hopefully you can get your hands on this one sooner. I hope you enjoy this book when you get a chance to read it! Omg that would be amazing!! It seems far away but time flies when you're reading good books, so we'll just have to read other books while waiting for this one! Oh wow this looks absolutely amazing! And the cover's so gorgeous! Great pick, I hope you enjoy when you read it! SAAAAAMMMMMMEEEE! And yes, I hope we both love this one! I hadn't even heard of this one, but damn, AUGUST? This was my WoW too and ugh, August is just too far away, isn't it? Really? *high five* ^_^ And I think it'll be here sooner than we think. Time flies when reading great books! That cover!! I'm definitely adding this to my TBR. Great choice. You're welcome and thank YOU for visiting mine! Glad to hear it, I hope we both love it! I just came across this one the other day and added it to my neverending TBR. Great choice! I hear you about the neverending TBR. That's the life of a bookworm for you xD Thanks for stopping by! Oh my gosh...I hadn't heard about this one before reading your post, but I HAVE to have this! I'm not typically one for politics in books but this sounds so good! August is going to take forever to get here! Well, I'm glad I could introduce you to it! Hopefully, you love it! I'm not a politics lover in general but they add so much extra drama to books which I do love haha. Ooh, I haven't heard of this one, sound good, and love that cover! Great pick! Thanks for visiting my WOW on Lisa Loves Literature earlier! The cover is great and I'm really excited for this one! Oooh! This book sounds interesting! I'll have to check it out! It does, doesn't it? 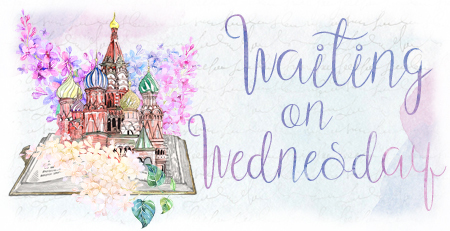 You should definitely add it to your TBR! Such a beautiful cover! I hope you enjoy this book! From that stunning cover to the synopsis, you have me! To be honest, not much YA fantasy has been grabbing me lately, but I truly adore the sound of this one. It is going iny my tbr. Thanks for the heads up! Hopefully, we both love this book! Sounds like you're just missing a good fantasy from your life. 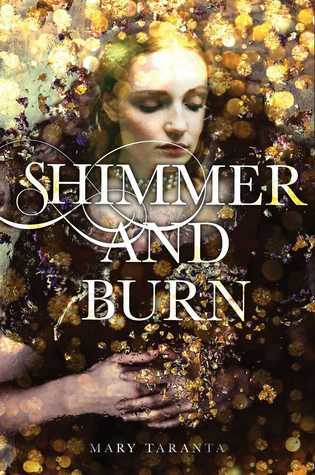 Wow the cover of shimmer and burn is beautiful! 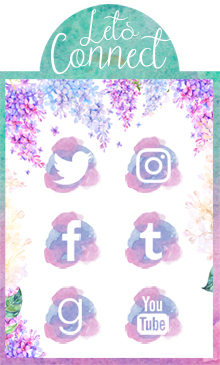 (as is your blog design! I love it!) great pick! Yes, it's wonderful (and thank you, I love it too ^__^). Thanks for stopping by! First time hearing about it and I wanted this book five years ago. Happy New Year Britt. Gimme! It doesn't seem to be getting a lot of buzz but here I am to give it some haha. Mine too xD The cover is fabulous!